See how a series of unfortunate changes events led to prematurely closed scratches and other trouble for the RavenDB team — and how they got themselves out of it. Today, I started out like most recent days. I was working on improving performance and running benchmarks. I made a small change in how we handle file allocation and mapping inside Voron. This is the kind of change that should have no observable effects. And indeed, except for making us run faster, everything worked. Except that later today I merged some stuff from a colleague and suddenly I started getting invalid memory accesses. After quickly blaming my colleague for the issue, we eventually figured out that it was my change that caused it. Unfortunately, the problem was a lot more serious than it immediately appeared. It wasn’t just that I needed to fix my code, what was happening there was that I made a certain situation (a new file mapping, and thus, exercising the cleanup routine) a lot more frequent. Which is all well and good, except that this is something that will happen routinely in Voron anyway, it just means that this is now much more likely. The real problem wasn’t actually with the access violation — that was pretty obvious and would have come to our immediate attention. The problem was that the error looked like the Page Translation Table had a race condition. In this case, because we are much more eager about cleanup, it was obvious that we are accessing old information, but without this to trigger our attention, the fear was that we are actually racy, and that the Page Translation Table will serve incorrect information. That means that Voron would violate its consistency rule. We’ll effectively be returning random garbage to the user and… Bad Things to Follow. At various points during the day, we had five different people working on it in three continents, because it is that kind of bug. And we couldn’t figure it out. We traced the code that did that every which way. It is old code, that has been worked upon repeatedly, and it has been stable for years. And none of us could figure out what was going on. Theories ranging from cosmic rays to the wrath of Murphy has been thrown out. So the first number is the page number, and the second is the page number inside the scratch file (#1 or #2, above). Basically, this means that when Transaction #3 looks asks for Page #0, it will actually get Page #238 from scratch #1. And when Transaction #4 asks for the same page, it will get it from Page #482 on scratch #2. If you got lost with the numbers, don’t worry, we did too. The problem was… the failing issue was in transaction #5, and the problem was that it was accessing page #412 on scratch #1. And due to my change, we actually closed scratch #1. The problem is that we couldn’t figure out how this thing could actually happen. Crazy stuff. We tried reproducing this in all sort of crazy ways, but it would only fail on the most trivial of tests, and very unpredictably at that. And then we finally figured it out. Basically by tracing everything, putting locks on everything that moved or looked like it would move it I kicked it and plain head against wall rinse and repeat. Eventually, we focused on what happened around the location of the error. It always happened during a query, that was very consistent, when it happened. And finally, we figured it out. We now use Lucene indexes stored inside Voron, and Lucene has some funky ideas about how it should be able to access the data. So we have to put a Voron transaction around the whole thing. And we have to flow the same transaction across multiple Lucene index input instances. So we put the transaction inside a thread local variable. And the query method is async. I think that you can figure out what happened from here, right? When the async machinery jumped threads, we would end up with a totally foreign transaction, our old transaction would be gone, and all of the carefully thought out premises that we have for transaction scope went out the window. Much cursing was to be heard. So we did a quick fix and changed the ThreadLocal<Transaction> to be an AsyncLocal<Transaction>, so it would flow through the async calls. And then we run the tests, confident it would solve it. But it didn’t, in fact, we got the exact same error, in the exact same place, and we went back to head butting the wall to see who is smarter. And then I realized that we were doing something else there. 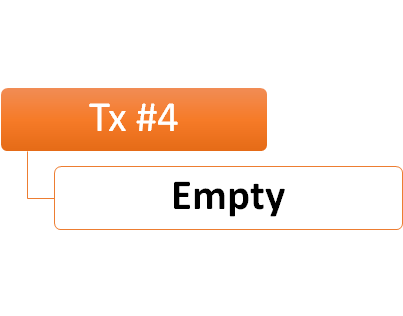 Lucene has the notion of cloning an input, which allows for multi-threaded usage of an input. When we do that, we check if we are in the old transaction scope and can reuse previous work, or if we need to do the initialization for a new transaction. The problem was that we were doing this check by id. Note that because the data on the data file in position #412 and scratch #2 in position #8327 is the same, that doesn’t actually matter. Except that when you have started in one transaction and started reading from scratch #2, then was bumped into another thread, and now are trying to keep on reading from the same place, only to end up blowing up entirely. Once we have fixed this problem as well, all was well with the world. The sky wasn’t falling, and I was writing a blog post at midnight for relaxation.